The Port Townsend Farmers Market is a big market for a small town. Each week, more than 70 vendors set up their stalls to sell their wares and thousands of people visit them. 40 farms sell fresh, locally grown produce. 4 artisan cheesemakers sell cheese created from locally raised sheep, goats, and cows. There are many crafts and some fine live music. 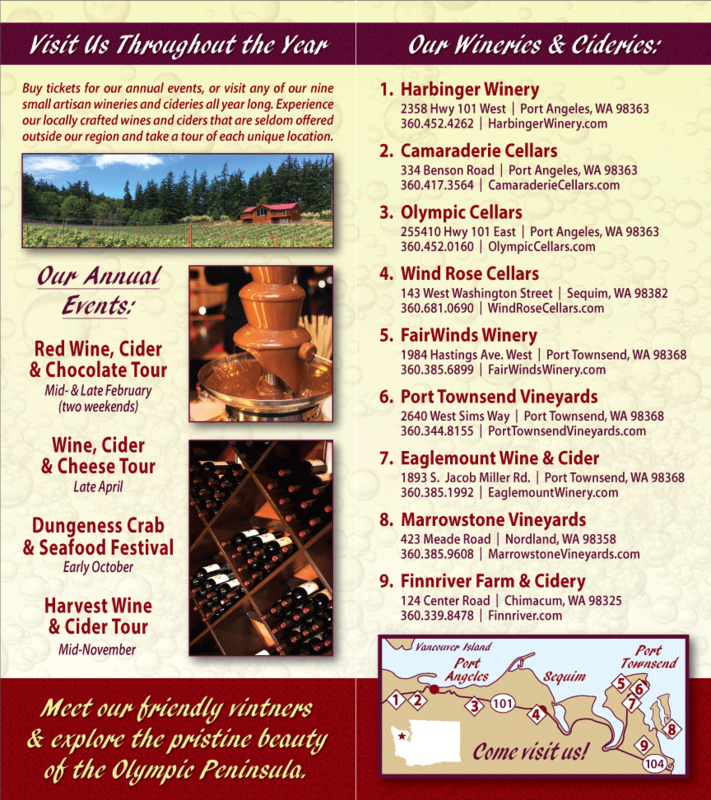 One can purchase hand-crafted Washington State hard apple and pear cider and Washington State Wine. It is, in short, a gustatory paradise. The Port Townsend Farmer’s Market isn’t the only reason to travel to the Olympic Peninsula, but it is certainly a good reason to visit. It opens Saturday, April 2, 2011, from 9 am – 2 pm. Look for Washington State Wines and Ciders at the Port Townsend Farmers Market.